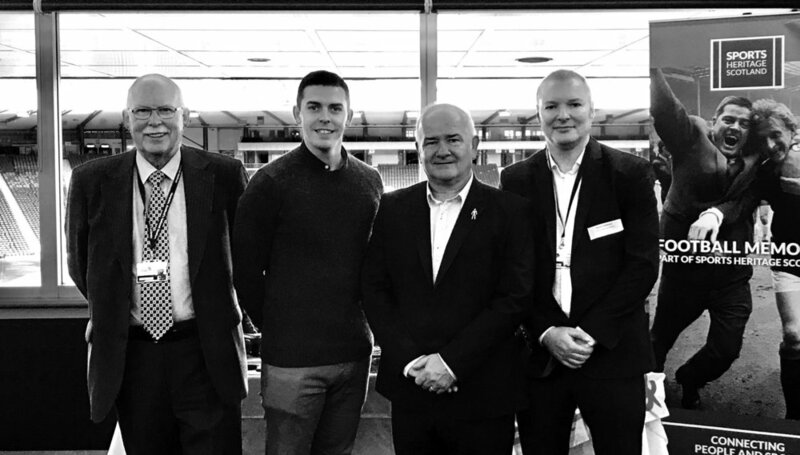 l-r Robert Craig, Chair of Football Memories Scotland and Scottish Football Museum, Matt Ramsay WFS, Gary McLaughlin WFS and Richard McBrearty, Football Memories Project Director. Walking Football Scotland was represented at the Football Memories Scotland - 1st National Convention at Hampden Park last week by Chairman Gary McLaughlin and Trustee Matt Ramsay. Robert Craig welcomed everyone and Joe Fitzpatrick MSP, Minister for Public Health and Sport addressed a packed room at Hampden Park, before splitting up into workshop groups. The workshops were designed to help with understanding and learning and proved to be a huge success and provided a wonderful opportunity to network and exchange ideas.